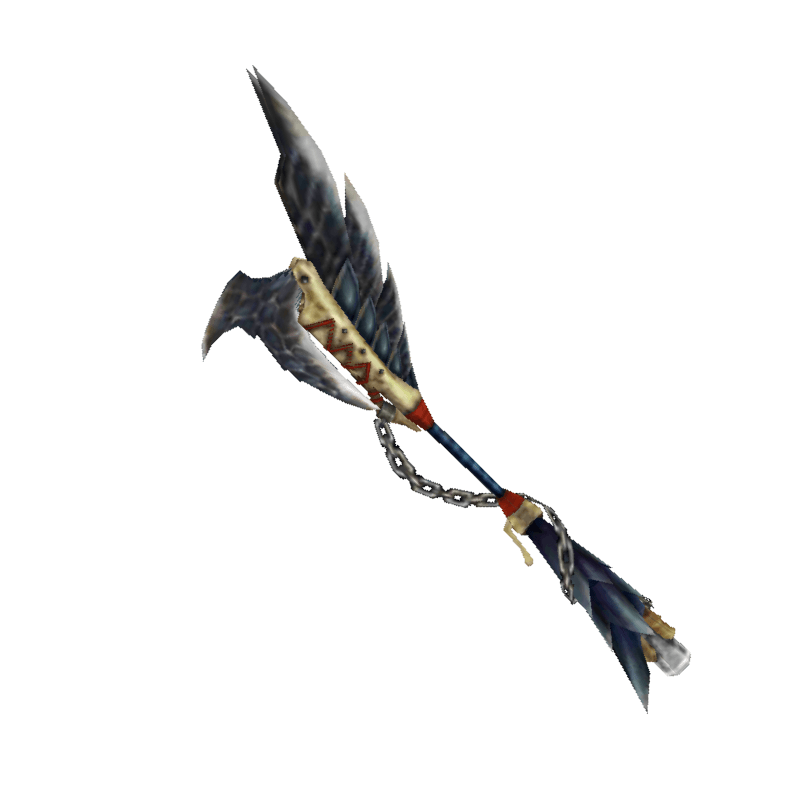 A glaive made for hunting in the dark. Even the blackest of nights cannot hide its victims. / The Hidden Scythe's final form. The darkness of night silences the vain screams of its victims.